They can't talk, but dogs say a lot about their owners' personalities, a new study has found. "People tend to report that their dog's personality is quite similar to their own, but we wanted to see if these stereotypes actually stand up to scrutiny," said study author Lance Workman, a psychologist at Bath Spa University in the U.K.
"Among the owners of seven breed groups, there were differences in personality," said Workman, who is presenting the study today at the British Psychological Society annual conference in London. "I used to have a cocker spaniel," said Workman. "I'd like to think that's me to a tee." "I think people pick a dog that fits into their lifestyle," said Workman. "If they're outgoing, they tend to want an outgoing dog. They say, 'Yeah, that sounds like me.'" German shepherds are the second most popular breed in the U.S. They're fearless, but not hostile, eager and alert, according to the AKC. They serve as watchdogs, service dogs and herding dogs. People who owned hound dogs, like greyhounds and beagles, were more emotionally stable, according to Workman's survey. "That means calm and consistent," said Workman, who pointed out that President Lyndon Johnson had a beagle. "Openness to new experiences is sometimes lumped in with intelligence," said Workman. "There's this view that people who own toy dogs are air heads, so this was quite nice to see." 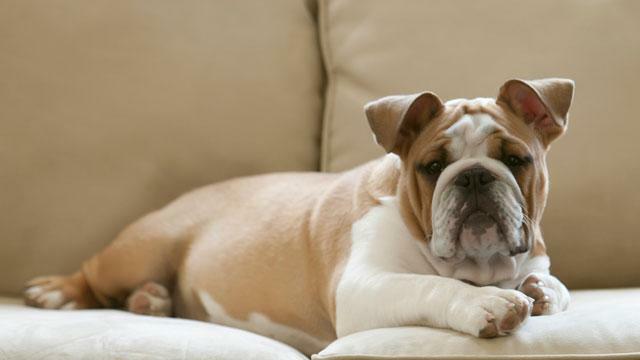 The English bulldog, which muscled its way into the AKC's top 10 breeds in 2008, is known for its kindness, courage and "dignified" demeanor. They're also gentle and protective. "Terrier owners were kind of middling," said Workman. "They weren't high or low on anything in particular." The Staffordshire bull mixes courage and tenacity with affection for friends, children in particular. Scottie dogs, on the other hand, "exude ruggedness and power," according to the AKC. "They tend to be agreeable, but most dog owners are," said Workman. "It's really difficult to say," he said. "Some studies suggest cat owners are more intelligent and dog owners are more social. But obviously it's debated."